Cooked Up A New Batch (142/365 v2.0) – Annoyingly Boring? New batch of Mr. Beer beer in the brewkeg. High Country Canadian Draft this time out. Will be ready to bottle in 7-10 days. 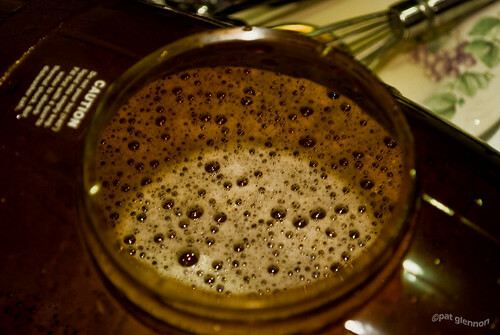 If you have never seen it, you might want to check out the video I did where I make a batch of Mr. Beer beer with my kids. Cool! I used to home brew. I need to dust off my equipment, sterilize it, and brew up another batch soon. .-= Darrin´s last blog ..R.I.P. Billy Mays. It’s a bad week to be a celebrity =-.